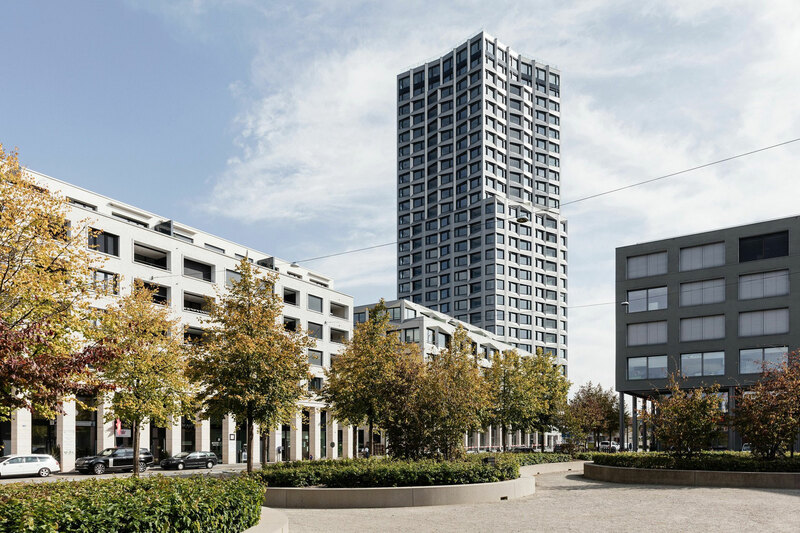 In the heart of Limmattal, which spans from the bustling city of Zürich, is the new district of Limmatfeld. A mixed-use residential high-rise serves as the epicenter, soaring above the district with a dynamic and recognizable façade. 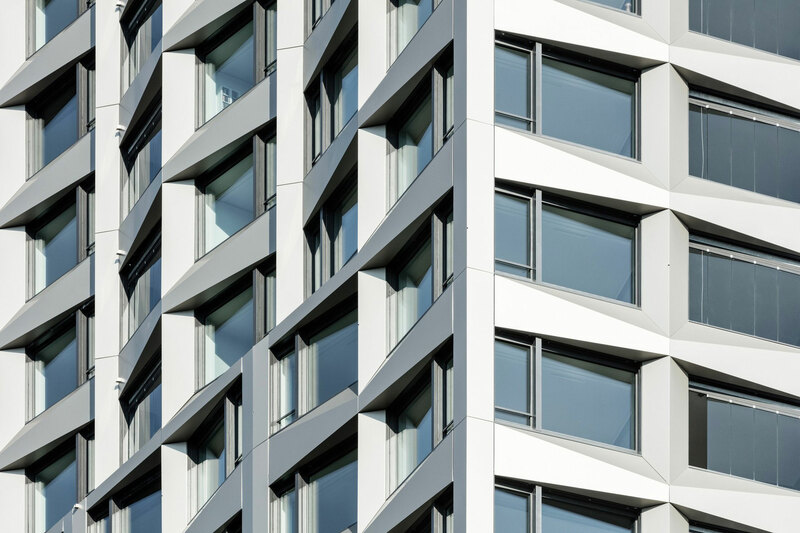 The Limmat Tower was designed by architect Lukas Huggenberger of huggenbergerfries using color changing Alucobond PLUS. Huggenberger describes the tower’s impact on the district, “The tower creates a central point for Limmatfeld in the way a church used to in a medieval town.” The landmark structure is a beautifully modern interpretation of skyscraper design. The architects purposefully stepped away from the traditional glass façade but also modeled their design after the first skyscrapers in existence. The early Chicago buildings that influenced the design were given a 21st century revamp with Alucobond PLUS aluminum composite material. 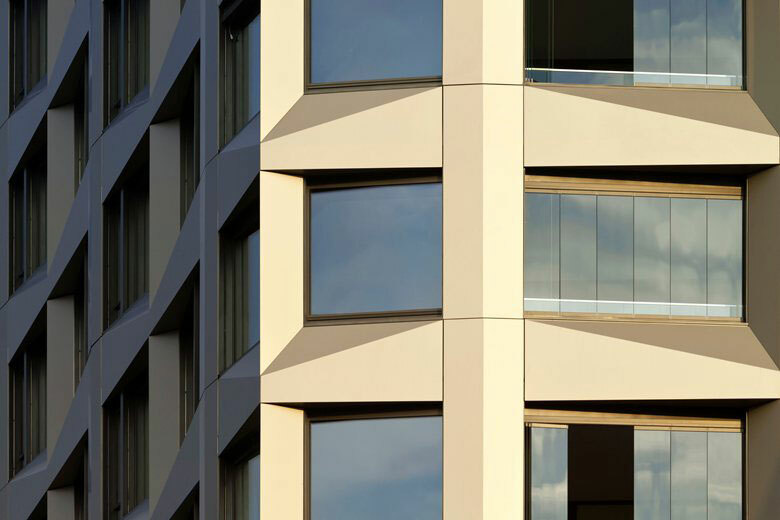 The finish chosen, Alucobond Anodized Look C31, changes its neutral tones based on variations in natural light. Also, the unique orientation of the panels, due to three-dimensional fabrication, allow for a greater manipulation of light throughout the day. Although the building, when viewed from afar, seems individualized, it is integrated into its urban context. 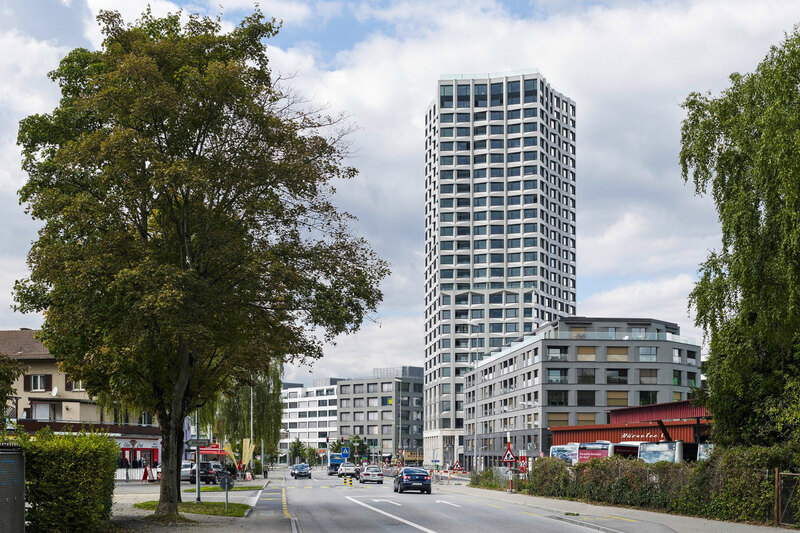 The Limmat Tower is one of four buildings that were developed and divided based on their proposed use. Various architects developed the buildings, Huggenberger explains, “The block is dissolved in four solitary buildings, which are held together as a whole complex to form a cluster.” An interesting component of the tower’s design is its unique geometry. 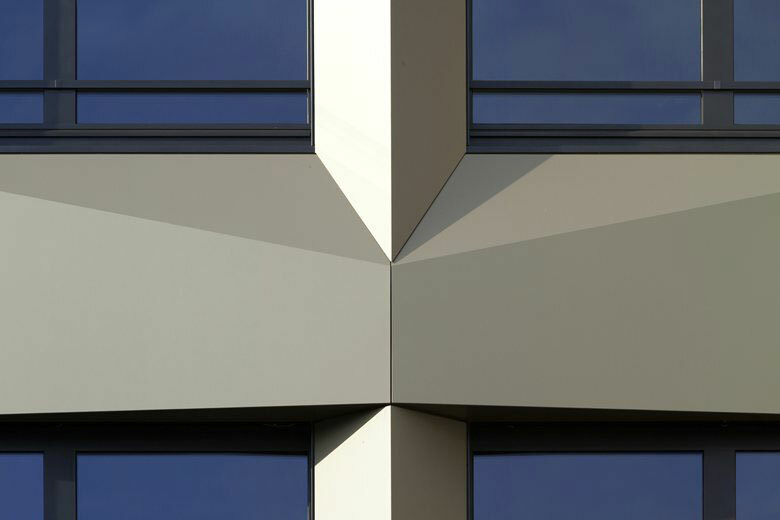 The façade utilizes a pentagonal development, which supports its optically vertical appearance.